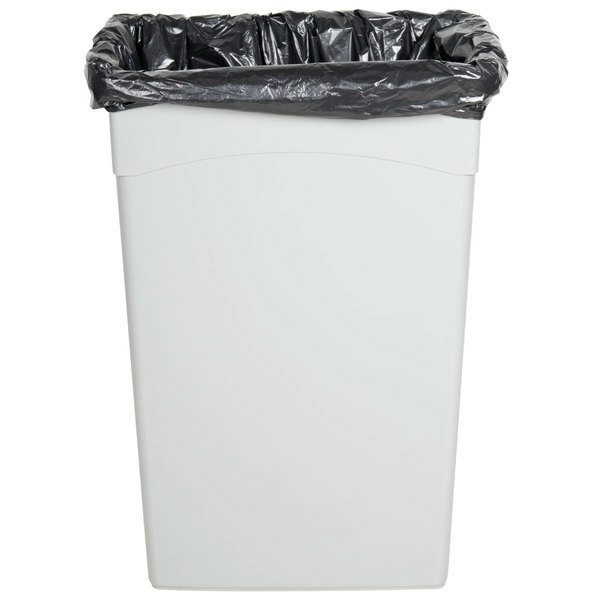 Choose this 55-60 gallon Li'l Herc Repro trash bag for an economical, strong solution to waste collection. Trusted brand Li'l Herc has designed the economical 55-60 gallon Repro trash bag as a solution to all of your waste management needs! This versatile can liner is perfect for bars, kitchens, and catered events. With all of the same benefits of a traditional low density liner, this bag is environmentally-friendly so you can save money and go green! "We were looking for a big garbage bag to fit our cans in the church kitchen. They hold up well and are resistant to puncturing and tearing." Watch this video to learn more about why Li'l Herc trash bags are the ideal solution for your garbage removal needs. Featuring strength and durability, these trash bags are a reliable and affordable way to hold and transport even the heaviest loads! 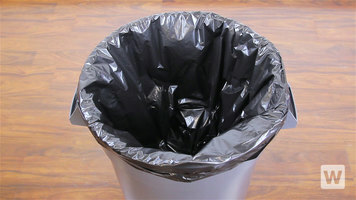 Li'l Herc trash bags are the reliable and affordable solution to disposing of garbage in your business. These trash can liners are made out of recycled plastics and resins, which makes them easier to stretch and resistant to rips when they're carrying large loads. 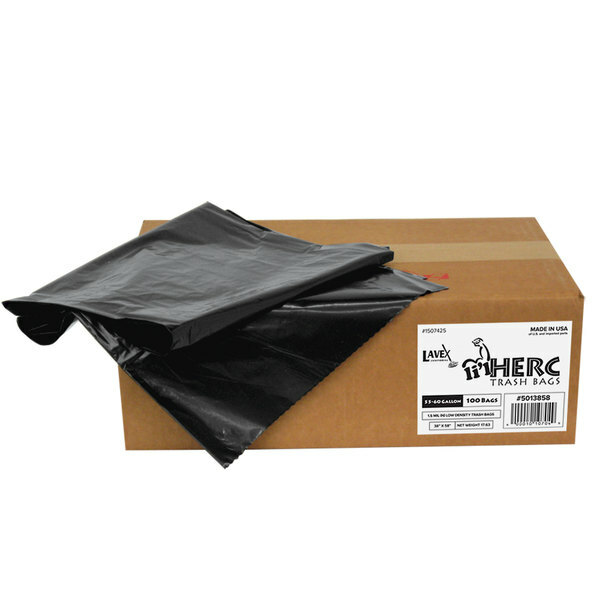 Li'l Herc garbage bags are also thicker than high density bags, so they can handle wet and heavy trash without the risk of drips or tears. And for added strength, the bottom is star-sealed to provide the best in durability. Li'l Herc trash can liners can hold 20, 33, 45, 55, or 56 gallons each, and they're all sold in bulk quantities so you can stock up in one easy order. I was having problems with a lot of the cheaper trash bags tearing and leaking. I would end up using two so the savings were out the windows. I have not had any issues with these bags. Our go to garbage bag at our bakery restaurant tasting room. Although a bit big for most garbage cans, it fits great in our large outdoor garbages. These trash bags are really nice. They are strong, durable and big! our trash is always super full and these bags are able to handle it without it ripping and making leaks. 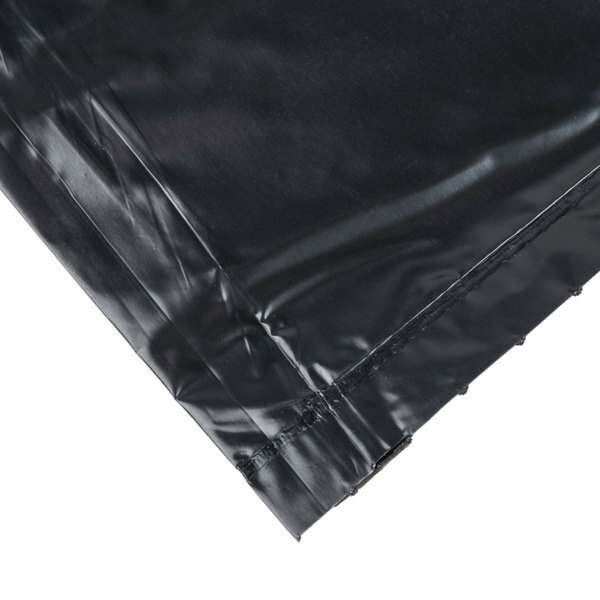 We like this Li'l Herc Repro Trash Bag 55-60 Gallon 1.5 Mil 38" x 58" Low Density Can Liner - 100/Case, we like this bag because is very strong and resistant. They don't rip easily. These can liners are great at making all sorts of messes appear to disappear. They don't rip and tear very easily. We love that they are environmentally friendly. 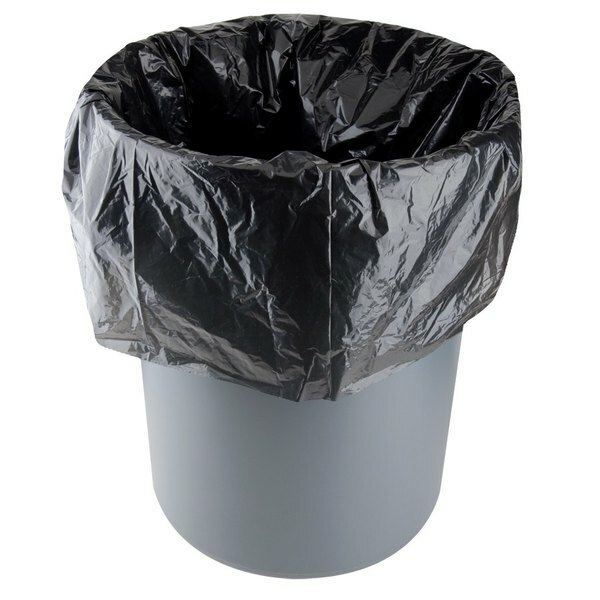 Strong extra large trash bags that are great in our super large 58 gallon garage trash can. They are strong enough to withstand sharp objects and i am also able to drag them around the yard as yard bags to pickup sticks and trash! Bought this product to replace the can liners we bought from our food supplier. This product seems thinner than our old one even thought they are supposed to be the same mil. Not sure if I will buy more once we run out of my first order. Not the most stretchy trash bag but it gets the job done. It's wide and can hold a lot, but we have a lot so it breaks more than we can count. All you have to do is double bag it and it's brand new. great product. it is sturdy and holds up to an extreme amount of weight. we use this in our restaurant and they hold all of the garbage without tearing. Great price on these and they perform better than expected. Customers use these and are very happy with them. The cleaning crew has no complaints on this product. 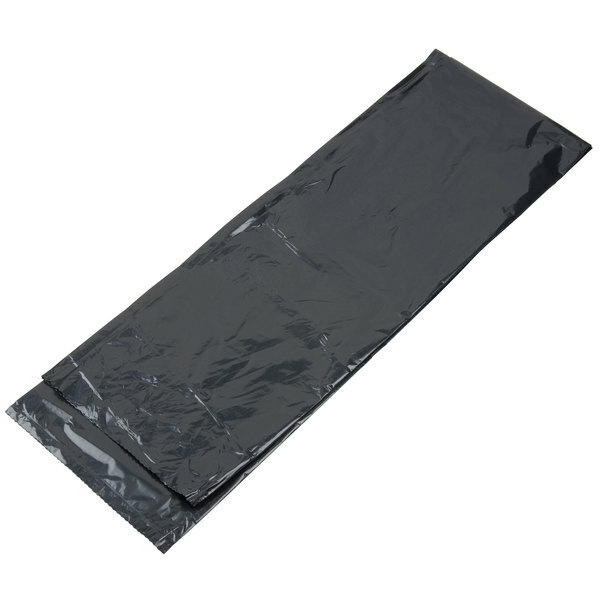 Very strong and durable garbage bags, these are good for outside trash cans they are very strong and it takes a lot to rip or tear them. Great quality item! These hold up well when used in trash cans next to bus tubs. They can hold a lot of weight and don't tear or split as other brands do. This is a very good quality liner. it holds a lot of trash and is very strong and sturdy. they fit out trash can well and easily tie up before throwing away. These trash bags are just perfect. No leaks even with all our liquids and big enough for all our cans. They stay up well and have never fallen into our cans. At literally half the price I pay from Don I dont know how you could go wrong. But you're definitely not sacrificing durability either. Highly recommended. 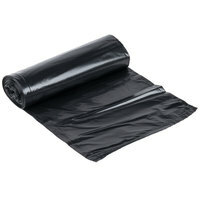 Very good and big trash bags, good sizes for light weight trash, enduarable, too! It gets scratches from harder paper but wouldn't leak. Will buy next time. Really like this can liner, we use it for 55 gallons trash can and its fot perfectly with a lil extra lips so it wont fall inside when we fill it with trash. Its very durable! Great product, very durable and can handle a lot of weight. We forgot and almost let it overspill and we were still able to tie the bag without it ripping. I lovs the product the price is amazing ! The bag is strong and it does not breaks easily! I will purchesing more boxes soon.